Whether you are a home-owner with little time for DIY or a landlord for multiple properties, Handyman On Tap can help maintain your property to the highest of standards through expert craftsmanship and preventative care. We offer a fully comprehensive range of services regardless of your needs! Handyman On-Tap offers a wide variety of professional Brighton handyman and DIY services ranging from flat pack furniture assembly, curtain hanging, fixture installation, draught proofing, and more! Not everyone is a do-it-yourself person, which is where we come in; our experienced team of handymen can handle any “honey-do” task, no matter how small. Handyman On Tap employs only highly skilled, certified tradesmen. We will care for your home like it is our own, with competitive quotes, reliability, minimal mess, and clean up. We handle all types of properties, regardless if it’s your personal home, your holiday home, or your let property. One room or an entire property. Everything from plumbing, electrics, glazing, decorating, carpentry, and much more! Landlords can save themselves time, money, and a whole lot of inconvenience by hiring a property maintenance service. Whether your property needs a simple repair or you’re looking for a complete refurbishment between tenants, our Brighton handyman can help! Project Management – Have a massive home improvement project but don’t know where to start? Handyman On Tap can help. 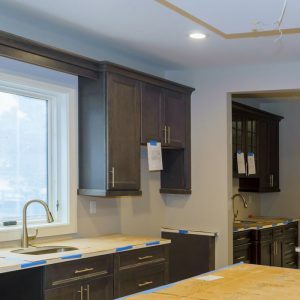 From initial planning to subcontracting to the final finish, we can take all of the hassle out of DIY and leave you with a professionally finished product. Don’t wait for a small crack to become a foundation issue! Handyman On Tap’s skilled handymen can evaluate your property, looking for common faults and imperfections and fix them before they become a big, and costly, issue. Our expert carpenters can undertake virtually any bespoke joinery job and complete it to a professional standard with amazing attention to detail and fitting with building regulations. Whether you’re looking for a bespoke door, made-to-measure staircases, or decorative moulding, our men are more than up for the challenge. A working smoke alarm is a must for any home, and they save countless lives every year. There are many different types of smoke alarms, from simple battery powered to ones that feed off the mains. Our handymen in Brighton can install any type of smoke alarm and ensure it’s working correctly, thereby providing you and family peace of mind. Carbon Monoxide detectors are just as crucial to you and your family’s safety as smoke alarms. Dubbed “the silent killer” carbon monoxide is odourless and results in a number of fatalities each year. Don’t wait to have one installed, it may save your life! Extractor fans remove moisture, smoke, and smells from around your home, and are a cheap and easy fit for your kitchen or bathroom that will make a huge impact on encroaching damp or residual cooking odours. Handyman Ontap offers Property Maintenance services in Brighton, which is located in South East England, and a large town in the county of East Sussex. Hove, Mile Oak, Moulsecoomb, Hollingbury and Hollingdean are included withinin Handyman Ontap’s Property Maintenance service area in the City of Brighton and Hove. Last but not least Handyman Ontap’s Property Maintenance services cover the Brighton Municipality including Bear Road area, Brighton Marina and Stanmer.